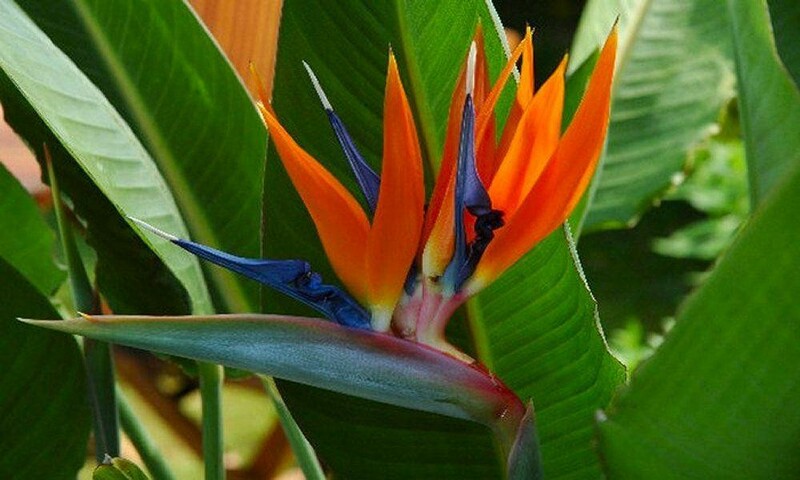 Spectacular, bright orange and midnight-blue flowers resembling the face of a colourful crane surrounded by paddle-shaped, emerald-green leaves. 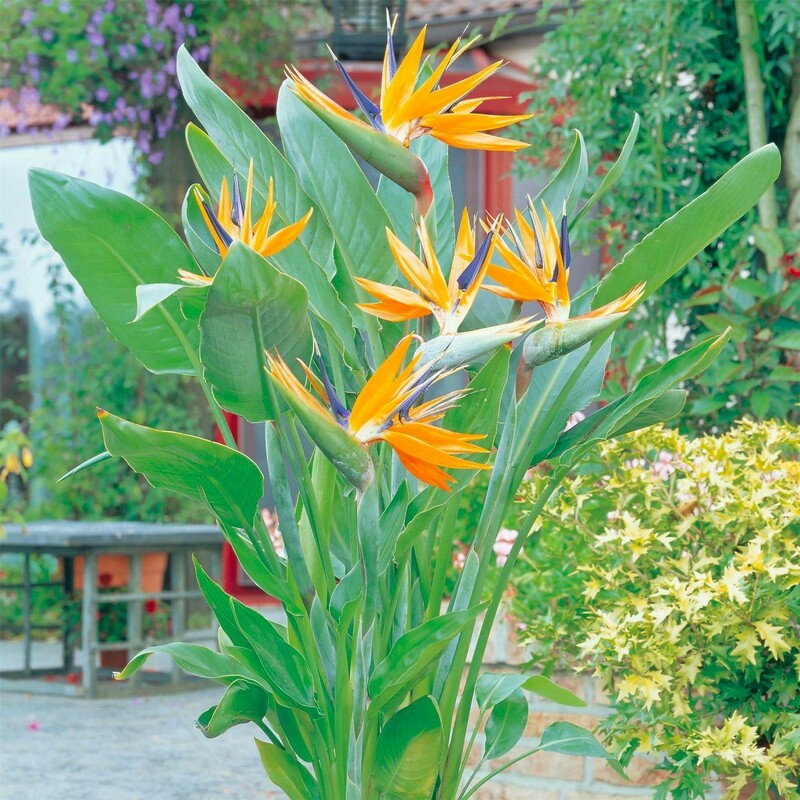 This beautiful bird of paradise makes an exotic house-plant for a bright, well-lit room. During the summer months plunge container-grown specimens in the middle of a sunny garden border to create an instant tropical effect. This exotic plant from Africa is easy to grow and can stand both full sun and shade, keep the soil moist at all times and feed once a month. Great outdoors from May to October, and inside for the rest of the year. The brightly coloured flowers will last for three months, when in bloom. In their natural surroundings these are pollinated by honey-sucking birds. Supplied in approx 1-2 litre containers at a height of approx 40-50cms.